The GS 1000 (Abbr. 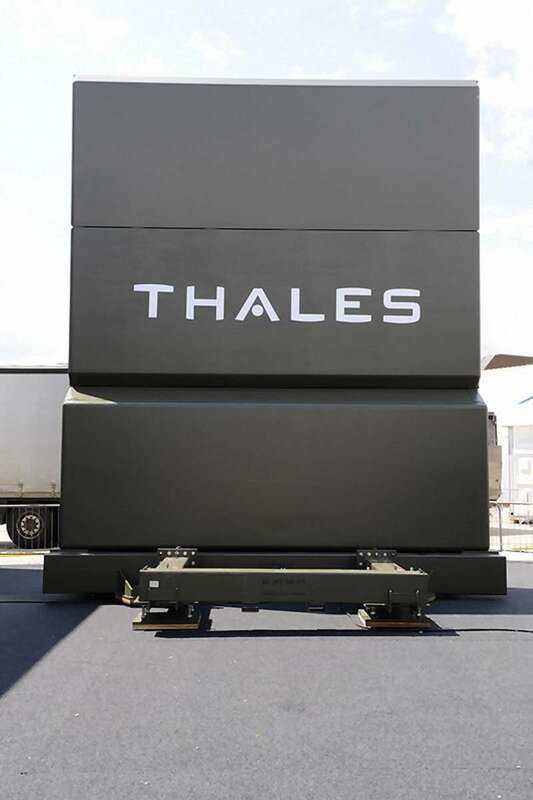 of Ground Smarter 1000) is an operating in S-Band multifunction radar dedicated to detect and track tactical ballistic missiles at ranges of up to 1,000 kilometers. The Thales company named the technology as M³R (multifunctional, mobile and modular radar). The radar uses the well proven SR3D platform architecture of the Ground Master Radar Family. GS 1000 can be used as surveillance sensor integrated in an early warning network, or can operate in association with the SAMP/T extended air defense weapon system.